Ya Man its time to get down to business as Al Pancho and Lenny Dee light up there first collection of license free custom made vocals samples for your next production or remix. These totally fresh Vocals and Snip It samples where created only for this pack. You can rock your own version as if Al Pancho was in your studio firing off authentic style raga vocals. Everything in the ISR demo is included in the pack plus we added a couple of NI Massive subs presets and of course even more vocals stems for you to twist up in your Phat track. The Boys thought it would be a great idea to share there ruff and ready vocal sessions. You can really dig deep and take Al Pancho's vocals cuts in any direction you see fit. Each sample was recorded at 140 Bpm 32 Bit 44.1Khz Using a U-87 and a Api pre. The pack is formatted in 24 Bit wav 44.1khz format for standard use in any Daw, but we also included some of our original 32 Bit 44.1khz files for those of you that are taking advantage of Pro Tools 10 & Cubase's 32 Bit floating point. Plus as we do with our ISR packs, we left loads of head room and gave each stem a little extra love so you can start doing your thing in no time flat with maximum flexibility. No dout about it, these vocal samples are raw and up front , Al came to our studio in Brooklyn to cut the vocals just for this project. His music is raw but full of great vibes, Just like this sample pack. If your looking for real deal Jamaican vocals then this pack os for you. So grab up sum green beats and and spark up your Daw. 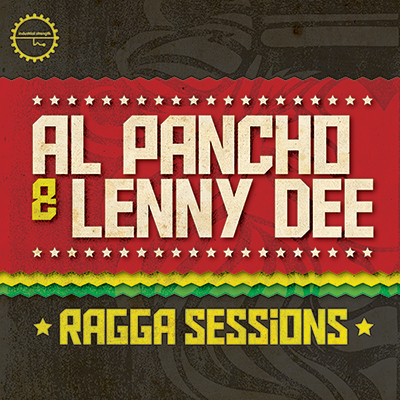 It's time flip the switch on your next EDM track with Al Pancho and Lenny Dee's Raga Sessions.